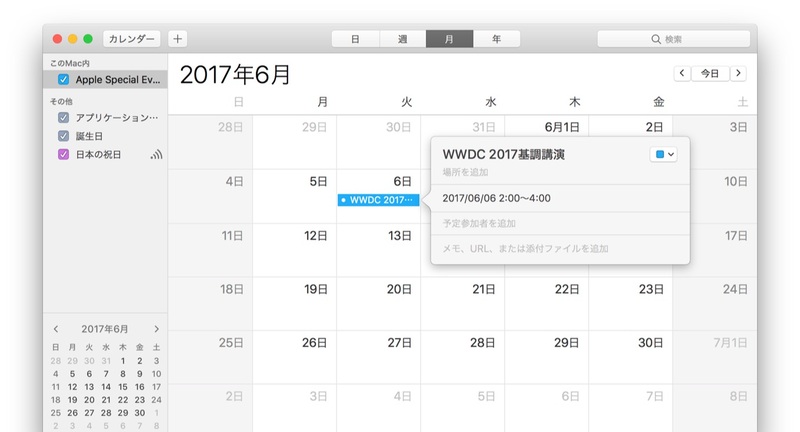 Apple、WWDC 2017の基調講演を日本時間6月6日午前2時から開催するとメディアに招待状を送付。 | AAPL Ch. Update: Apple extended invitations to members of the press, much as the company does every year. The conference will kick off with the keynote at 10 a.m. PT on June 5. Apple also often uses the event to intro new hardware updates, with an iPad Pro and other expected refreshes in the cards for stage time.Apple is also said to be planning a potential unveiling of its much anticipated Siri Speaker, a product that is thought to be positioned as an Amazon Echo and Google Home competitor to bring Siri into homes as a standalone device of sorts.